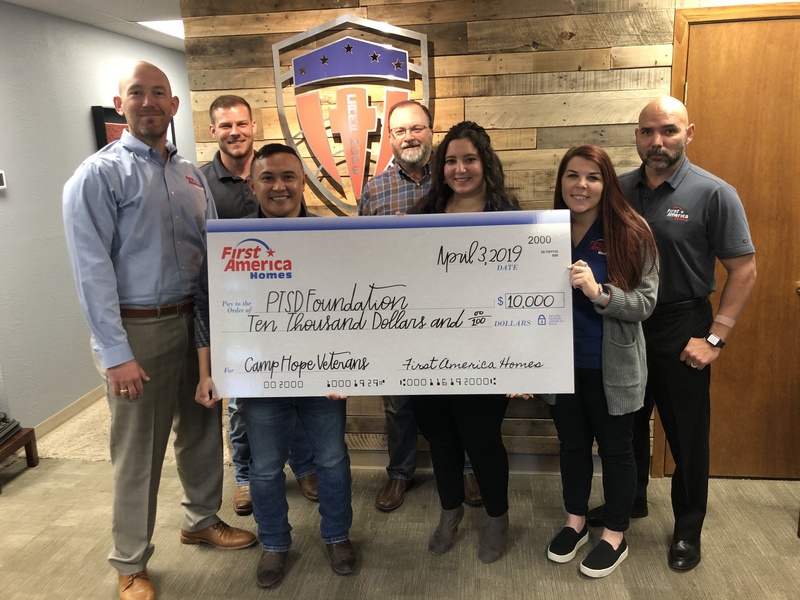 First America Homes is proud to support the PTSD Foundation of America by making a donation to Camp Hope. To combat Post Traumatic Stress, to give back to those who have given of themselves so selflessly, and to increase public awareness of Post Traumatic Stress. Bring Healing to our military community through pastoral counseling, and peer mentoring, both on an individual basis and in group settings. Raise Awareness of the increasing needs of the military community through public events, media outlets, social media, service organizations, and churches. Networking government agencies, service organizations, churches and private sector businesses into a united "Corp of Compassion", to bring their combined resourced together to meet the needs of the military community on a personal and individual/family level. 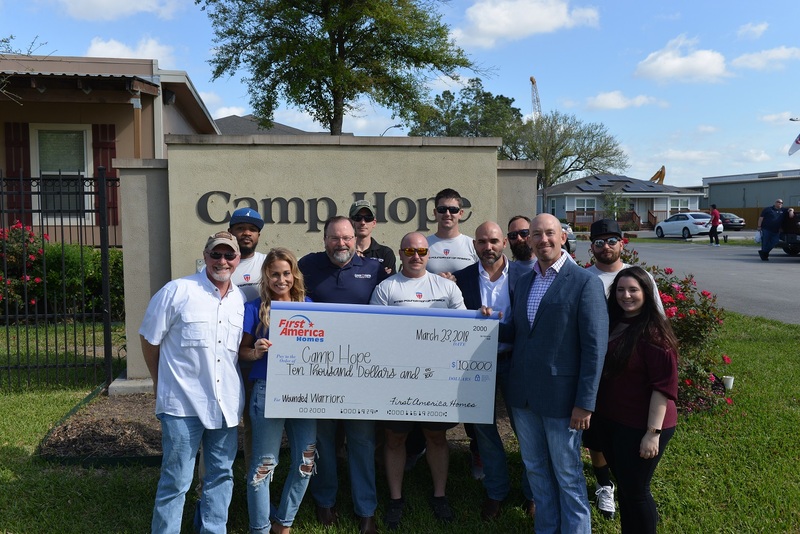 Camp Hope provides interim housing for Wounded Warriors, veterans and their families suffering from combat-related PTSD in a caring and positive environment. In addition to temporary housing, Camp Hope offers a 90+ day PTSD recovery program in which residents: attend group lessons and support sessions with other combat veterans, conduct individual mentoring sessions with certified trauma mentors, participate in off-site small group interaction activities (fishing, hiking, local activities and events), and get involved with local churches, businesses and volunteer organizations to assist in their personal healing and educating the community on the invisible wounds of war.